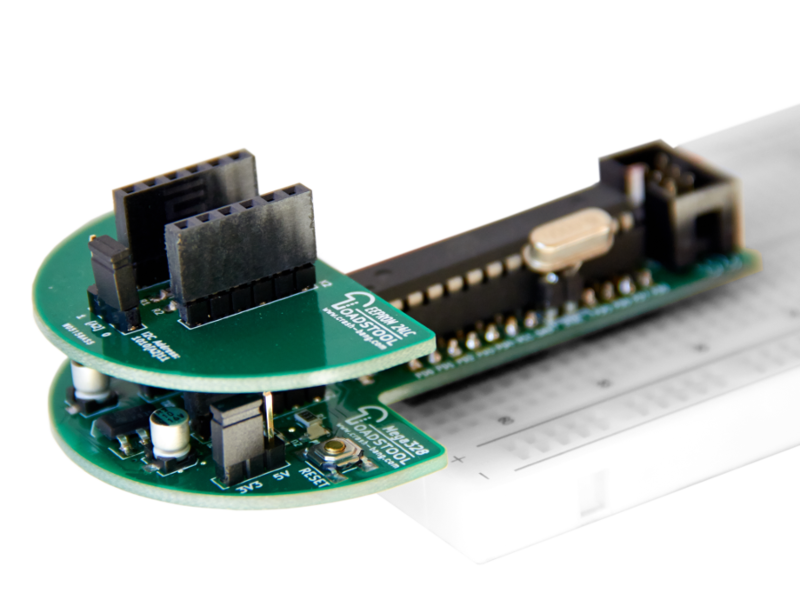 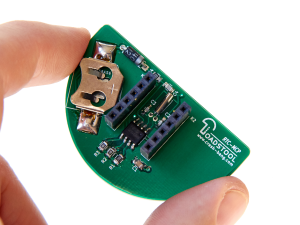 Simply connect this RTC module to the standard header on your Toadstool and your project can keep time. 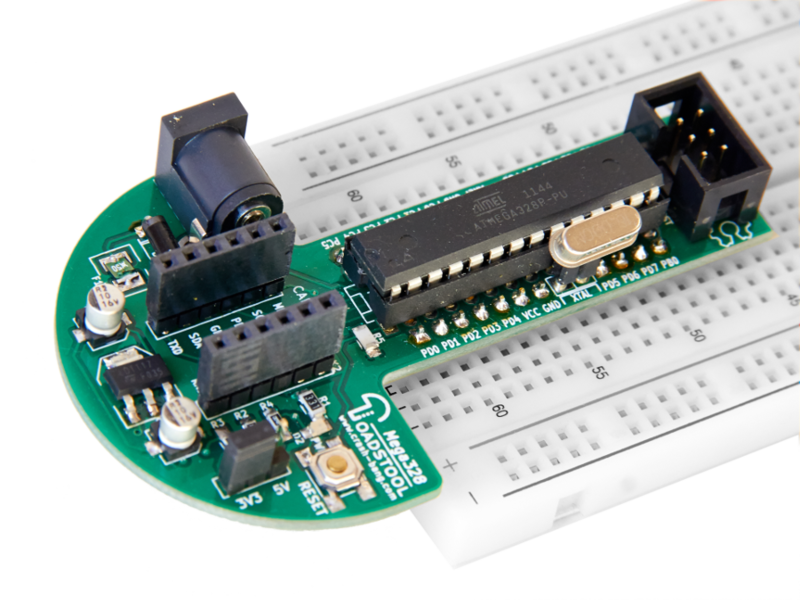 The RTC module is self-contained with all the supporting components you need to keep track of time. 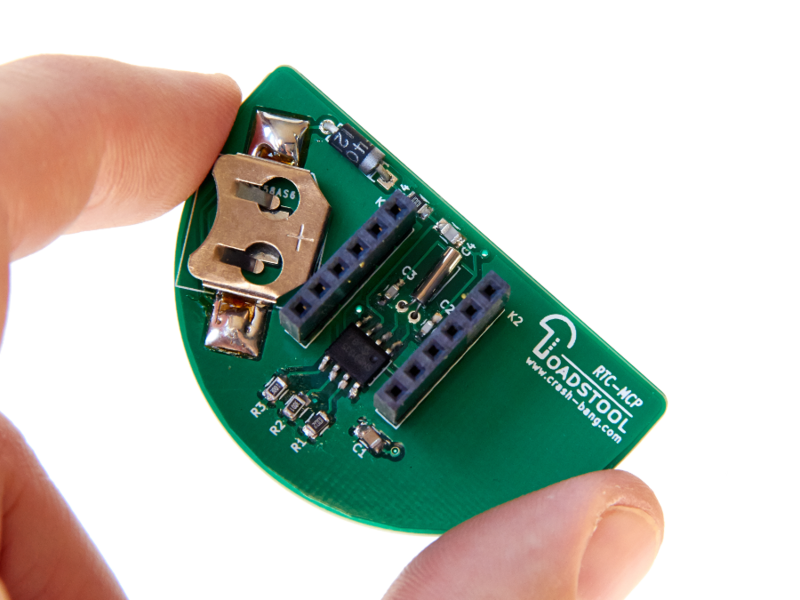 It includes a backup battery holder (coin cell battery not included).